The single most effective traffic safety device for preventing death during a crash. The best defense against impaired, aggressive, and distracted drivers. Seat belts hold drivers and passengers in place, helping the driver maintain control during a collision. Seat belts keep the driver from pitching forward into the steering wheel, dashboard, and windshield. Seat belts also prevent drivers and passengers from being ejected or flying around the vehicle injuring others. Virginia law requires all front seat occupants of motor vehicles be restrained. Any passenger from birth to 18-years-old should be properly restrained in an appropriate child safety seat or seat belt, no matter their seating position. Virginia law also requires that rear-facing child safety seats be placed in the back seat of a vehicle. •	Myth 1: You are safe in the back seat without a belt. WRONG! Among rear seat occupants, seat belt use can reduce the risk for death by 60%. •	Myth 2: Buckled drivers are safe if their passengers aren’t wearing belts. WRONG! Multiple studies show the increased risk of death for those wearing seat belts when people in the back seat are not. One study by the Centers for Disease Control showed that the odds of driver death more than doubled in fatal frontal crashes when there were unrestrained rear-seat passengers. •	Myth 3: Larger vehicles, such as pickup trucks, will protect you in crashes if you aren’t buckled. WRONG! 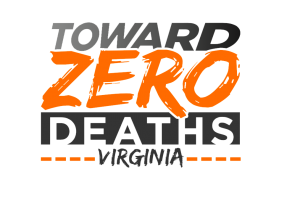 The research shows the opposite – that there are more unrestrained pick-up truck deaths versus unrestrained car deaths. WRONG! More crashes, and more unbelted fatal crashes, occur in rural versus urban locations. •	Myth 5: Airbags replace seat belts. WRONG! Airbags may further reduce the risk of death or injury when used in conjunction with a seat belt. The lap belt should fit low and snug across the hips, never across the abdomen, while the shoulder belt should fit closely against the chest and across the breastbone, never under the arm. Pregnant women should make sure the lap belt sits low across the hips and not on the abdomen. When used properly and in conjunction with a seat belt, airbags reduce death and serious injury. Airbags reduce the chance that an occupant’s upper body or head will strike the vehicle’s interior during a crash. Airbags are supplemental safety devices and are designed to work with seat belts. To avoid an airbag-related injury, always buckle up and ensure proper seating position. Never place a child safety seat in front of an active passenger air bag. If there is no back seat and the child safety seat is in the front seat, the air bag must be off. All children under age 13 years should be correctly restrained in the back seat.